Stormwater Bill Signed, Cost of Inaction, Work Plan Unveiled, We're Hiring, New Committee Report, New PFAS Fact Sheet, and More! Photo: What happens to mardi gras beads after the festival ends? 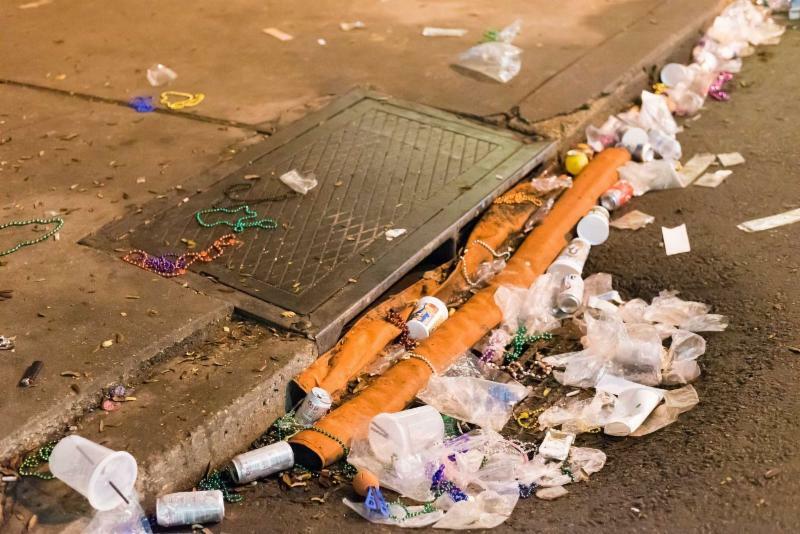 The city of New Orleans pulled 93,000 pounds of beads from just five blocks of storm drains. Photographer: Carrie DeMay for Bloomberg Businessweek. ﻿Advancing the JWW goal of ensuring effective and financially sustainable systems, this legislation authorizes local government entities to create stormwater utilities and assess stormwater fees. The law specifies that revenues raised via these fees must be used for maintenance and upgrade of stormwater systems This will help ensure investment and proper operation and maintenance of the state’s stormwater systems in a cost-effective, equitable manner that treats ratepayers fairly. Often overlooked, our water infrastructure isn't noticed until something goes wrong. This section spotlights everyday consequences felt by residents of New Jersey of not investing in our water systems. JWW released its 2019 work plan , which will guide the work of our four working committees as they advance the collaborative’s shared goals . Any member of the collaborative may join a committee. Questions? Contact Brian Caycho , (609) 393-0008 x106. 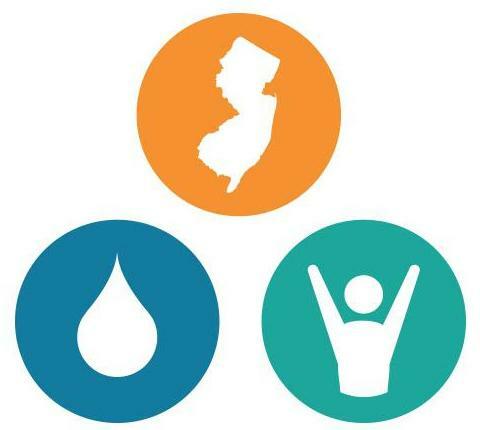 New Jersey Future, the collaborative’s backbone organization, seeks an experienced, motivated individual to create a robust, transparent system of performance metrics designed to accelerate the improvement of water infrastructure systems. The position combines project management, work with metrics and data, stakeholder consultation and convening, and written and oral communications. Read the full job description here . Louis Berger has developed this new fact sheet on PFAS , a group of synthetic chemicals that can contaminate drinking water supplies and affect public health, fulfilling its 2019 commitment to water infrastructure as a member of JWW. The DEP and the JWW Education and Outreach Committee also played significant roles in the development of this resource. The JWW Combined Sewer Overflow Committee has published its new report: How Proper Maintenance and Cleaning of Sewer Systems Can Have Huge Benefits! It highlights the importance of sewer cleaning and inspection as critical elements of a proper and effective sewer system operation and maintenance program. It also provides regulatory recommendations to help ensure that municipalities/ utilities are implementing these basic, cost-effective control measures and are operating and maintaining their collection systems properly. Pilar Patterson, Kleinfelder and Vin Rubino, Wade Trim presented the JWW Combined Sewer Overflow Committee's work on balancing green and gray solutions to CSO management at the AEA Spring Utility Management Conference on March 13. Dan Kennedy, Utility and Transportation Contractors Association presented the JWW Asset Management and Finance Committee's joint work on developing metrics for asset management programs at the AWWA-NJ Annual Conference on March 21. By aligning individual efforts and diverse perspectives to advance shared goals , JWW can realize "Smart Infrastructure. Strong Communities." Together, members will achieve healthier, more prosperous and just communities and a more sustainable environment! Congressional testimony, delivered by Andy Kricun, Camden County Municipal Utilities Authority and member of the JWW Steering Committee: Using the Clean Water State Revolving Fund to Improve Water Infrastructure and Sustain Affordable User Rates. Blog post from JWW: Overview, presentation, and pictures from the Water Bank seminar series presented by the I-Bank and DEP. EPA has completed several updates to its Water Finance Clearinghouse, providing new information on funding, financing, and other resources for the water infrastructure sector. Passaic Valley Sewerage Commission awards more than $500,000 in rebates to municipalities (PVSC press release). City of Hoboken will repave 100 blocks of roadway, replacing $4 million in water mains (Patch Hoboken). SUEZ operations team has been able to implement several projects that have improved the City of Bayonne’s water and wastewater system. Black & Veatch is presenting a webinar on April 3 to share benchmarking data and findings from its assessment of water and wastewater rates across the 50 largest cities in the United States. Dan Rhoton, Hopeworks discusses how his organization is connecting the City of Camden’s underprivileged youth with career opportunities at companies like American Water. At the AWWA-NJ conference, Chelsea Simkins, New Jersey American Water, was honored with the Kenneth J. Miller Founders Award for outstanding volunteer service in response to the water needs of families living in the developing world. 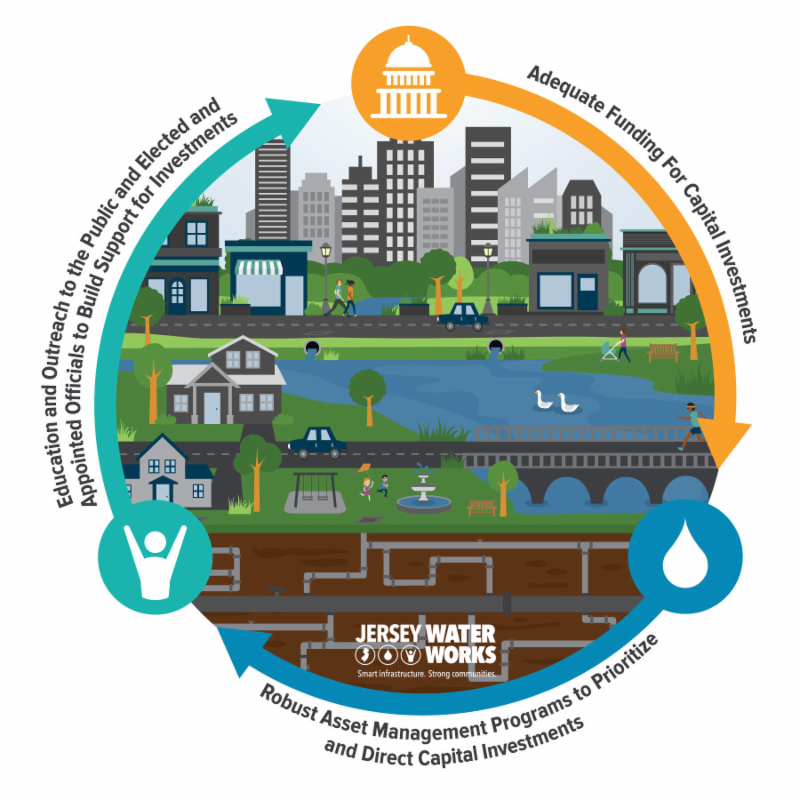 Upcoming seminar presented by DEP, I-Bank, New Jersey Future, and JWW, will cover stormwater management rule changes and Water Bank financing for green infrastructure projects. Stay tuned for more details! Jersey City Municipal Utilities Authority recently launched a new web page for its CSO Long Term Control Plan. City of Newark recently launched a new web page for its CSO Long Term Control Plan. Webinar slides: Community-enabled Lifecycle Analysis of Stormwater Infrastructure Costs tool for stormwater management planning and decision-making, presented by Water Research Foundation. A Guide for Local Leaders: Paying for Water Systems, issued by Mayors Innovation Project, focuses on how elected city or utility leaders can advocate for the most sustainable, equitable toolkit to finance and operate publicly-owned water utilities. To P3 or not to P3: A water industry view on the relevance of public-private partnership delivery models, issued by EY and American Water Works Association, details how P3s benefit municipal utilities who don’t have the experience, capacity or confidence to deliver and maintain water assets using their existing staff and resources. Funds available: Up to $1,500 per grantee. Suitable projects include, but are not limited to, educational stormwater management projects on preserved public open space. Want to see your new resource, blog post, event, etc. highlighted in the next email? Share it with Brian Caycho to be included!